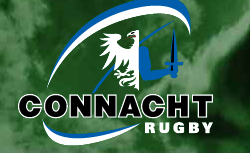 In what will be seen as new coach Pat Lam’s first major contribution at Connacht Rugby, the club have signed the New Zealand U20s team captain on a three year deal. Openside flanker Jake Heenan captained the New Zealand Under-20s when they finished runners-up to South Africa in the 2012 Junior World Championship last summer. The former Whangarei Boys’ High School First XV captain went on to sign for Auckland and was a member of the Blues development programme. “I came across Jake when he was 17 years old. He played for the Blues Under-18 team when they won the National competition and, even then, I could see what a natural leader and genuine team player he was. “He brought those leadership skills, as well as his physicality, to the U20 World Championship last summer with the Baby Blacks.